Big Bear Cabins and Vacation Rentals ... "AAA approved cabins"
Big Bear Cabins and "AAA approved Vacation Rentals" in Big Bear Lake. You will find our AAA approved cabin & cottage rentals as cheap as local mountain hotels. 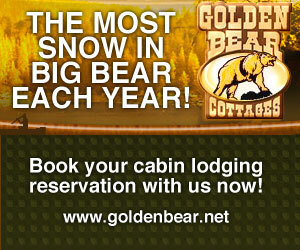 Big Bear Vacations at Golden Bear Cottages five acre resort offers 28 cabins and vacation cottage rentals. AAA big cabin lodging rentals are only one block from the lake. Pets Welcome. Many cabins are Pet friendly with fenced pet yards, indoor spas or Jacuzzi tubs in cabins. Located in Big Bear Lake CA near Big Bear Mountain Resorts. Frequent travelers to Big Bear Lake, save up to 50% on lodging with our Vacation Club. 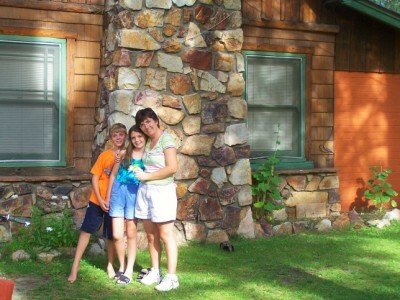 The most affordable cabin accommodations Big Bear Lake. Big Bear Lake, a four season resort, surrounded by National Forest, is the perfect mountain getaway for your family - any time of the year. Centrally located in Southern California, Big Bear Lake is only a couple of hours away from the all major Southern California counties. Big Bear Lake elevation is above the clouds at 7000'. AAA members enter discount code AAA when booking. Active Military enter discount code Mil when booking. Want to stay for a week... enter discount code WR when booking. 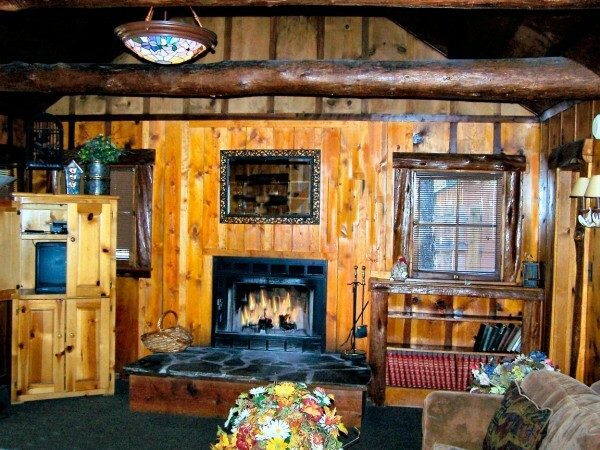 Choose from 28 AAA approved Big Bear historic cabins of all sizes, including small studios to big one, two, three, four, five and seven bedroom private cabin rentals: From our romantic honeymoon and anniversary cottage vacation rentals with indoor private spas to the largest three story retreat cabin rental that includes meeting or game room with big pool table, fooseball and card tables and bar; we are sure to have a cabin size for any occasion. 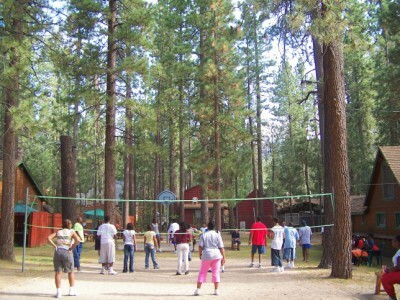 One of the few great family vacations in California and as a family friendly Christian family resort, we have lots of experience with church group retreats, team building events, family reunions, school and business group retreats. Golden Bear cottages is one of a few retreat and resorts where pets are welcome. Special pet friendly cabins at Golden Bear Cottages have fenced pet yards; a Big Bear Lake exclusive cabin rental option. If you plan on bringing your pet, make sure you are choosing a cabin where pets are welcome at Golden Bear Cottages. We have Designated Pet Friendly cabins at Golden Bear Cottages have a fenced pet yard. 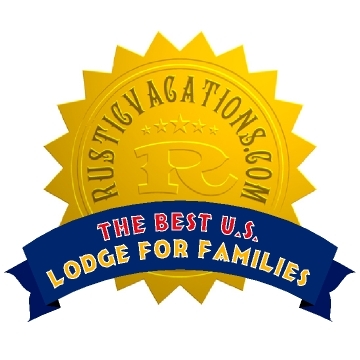 Golden Bear Cottages named to USA Top 20 Family Vacation Resorts by RusticVacations.com for 10 straight years! 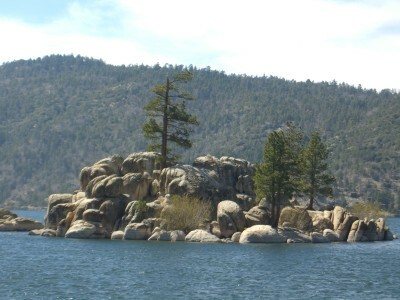 Looking for Big Bear Lake Vacation Rentals? Choose from our AAA approved cabins that are clean, comfortable and located within a five-acre forest area of 300 historic pines. Golden Bear Cottages is truly an historic mountain property, not a five star hotel. If you are looking for a peaceful and quiet resort with a heated pool and spa, lots of outdoor activities and a family of staff that truly appreciates you and your family or group of any size, big or small, then this is the place for you! We can accommodate team travel and school retreats too. 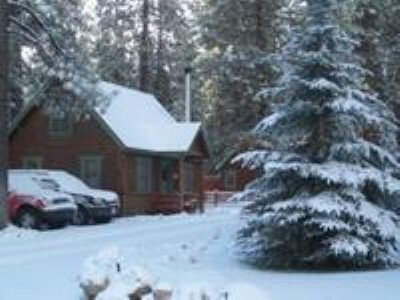 Average daily family and group lodging cost per person is only about $29 in the off-season and $35 in the high season at Golden Bear Cottages family friendly resort in Big Bear Lake: top AAA approved big and small vacation rental cabins and cottages.